You can register to become a member of one of our After School Matters Programs, which are in collaboration with the City of Chicago. 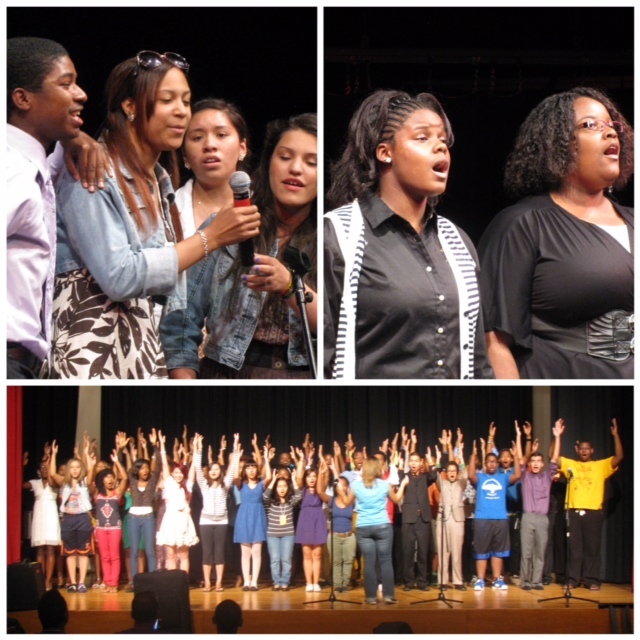 HHW Vocal Arts Ensemble is a vocal performance project, which combines three performing arts: singing, dancing, and acting to explore, develop, and refine the skills needed to work in the business of music. HHW has toured Chicago communities with a variety of music and dance to please audiences of all ages. Teens will learn songs from various genres of music, vocal techniques, and the ability to distinguish between the art of performing on stage before a live audience. Class will offer Field Trips, Master Classes by Music Industry Professionals, and Service Learning Hours. To apply go to www.AfterSchoolMatters.org. Keyword "HHW"